Nick Ridler is a Fellow of the IEEE (Institute of Electrical and Electronics Engineers), a Fellow of the IET (Institution of Engineering and Technology), and a Fellow of the IOP (Institute of Physics). He is a Visiting Professor at the University of Leeds (in the School of Electronic and Electrical Engineering); a Visiting Professor at the University of Surrey (in the Faculty of Engineering and Physical Sciences); and a Visiting Professor at the University of Liverpool (in the Department of Electrical Engineering and Electronics). He also holds a Fellowship in Nonlinear Measurements at the Advanced Technology Institute, University of Surrey. Nick is the Head of Electrical Science in the Engineering, Materials and Electrical Science Department at NPL. 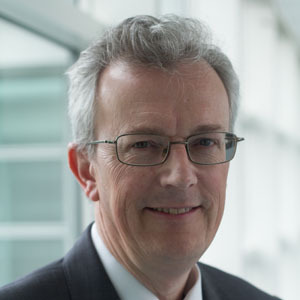 He is also a Non-Executive Director of LA Techniques Ltd (a UK SME based in Surbiton, Surrey) and a Director of n3m-labs (the joint NPL/University of Surrey 'Nonlinear Microwave Measurement and Modelling Laboratories'). His main area of interest is precision electromagnetic metrology in support of next-generation information and communications technologies, and high-frequency electronics applications. His current research include measurements at millimetre-wave and terahertz frequencies; nonlinear microwave network analysis; high-speed measurements on Printed Circuit Boards (PCBs); RF nanotechnology; and, evaluating uncertainty in measurements.